HTTPID has the highest performing and most secure hosting environment in the world. Some of the largest European retailers, governments and financial institutions rely on our technology. We're a tiny but mighty company — over 300 customers serve 40M visitors, 5B requests and 2PB every month. We deploy ultra-high security systems with advanced multi-layered and high capacity DDoS and WAF protection. Our entire infrastructure is PCI DSS and HIPAA compliant. Strong protection from both virtual and physical threats. Marvel in the joys of hosting with the fastest provider in existence with average full page load times of 800ms. Our proprietary hardware and software allows customers to serve millions of cacheable hits per hour regardless of their plan. Experience the best support on the planet. Call, WhatsApp, Skype, raise a ticket, send a pigeon. We're here. Calls to our priority support line are answered within 60 seconds and we treat all customer issues like our own. Bold statements? Scroll to the bottom to see our notes and disclaimers. Run your business without an IT department. We handle performance, security and create full website and server backups every 3 hours for free. 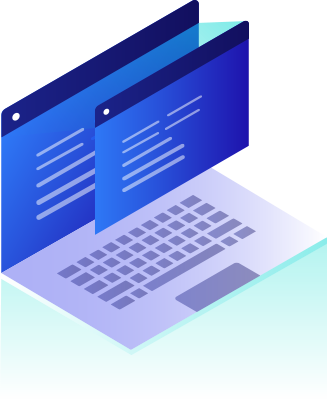 We perform external checks on all websites and servers every single minute and if issues are detected, engineers act immediately without waiting for you to raise a ticket. Our engineers perform full manual migrations and work with you to ensure your services are functioning correctly. Unlike others who claim to have "custom stacks" that are really just a combination of third party software with no innovation, we use our own heavily customised versions of NGINX, PHP, MySQL and Redis which allows us to be more secure and as much as 30% faster than other providers. VAT may be applicable based on billing location. Our proprietary hardware technology is used by over 90 data centres around the world and our proprietary software allows us to have the fastest response times. Others would charge 8x more to give the same kind of performance as we do. We never compromise on performance but don't take our word for it — take our platform for a test drive and discover a new standard in hosting. No payment information required. We serve websites faster than the enterprise plans of many other providers which typically come with a price tag of thousands of pounds per month. Also, our customers websites load faster than many Fortune 1000 websites from any where in the world, with greater security at a fraction of the cost. This performance advantage results in customers gaining positions in search engine results shortly after moving to our platform. Of course, while we can't guarantee this, 100% of our customers to date have experienced a sudden and sharp increase after joining HTTPID. Unlike others, we don't claim to run our own CDN by rebranding another providers service or use poor-performing ones for the sake of increasing margins. We use high performance providers with proven track records such as Edgecast, Akamai, Fastly etc - the same providers used by the most popular social media, news and video streaming services. We've spent years building a system that automatically learns and continuously adjusts which provider is used based on the type of traffic received, the visitors location and the volume of traffic per location. This means 2 visitors to the same website at the same time could be served static files through 2 different providers, ensuring content is delivered to your customers using the fastest and closest possible server at all times. We monitor our customers interests externally every minute to ensure websites and servers remain available — that's every single website, application and server monitored individually. If any issues are detected, our engineers are notified instantly and immediately investigate without customers needing to contact us. Even though in the vast majority of cases websites might go down by user-related activities such as installing an incompatible plugin, we still assume responsibility and investigate first. In these cases, we usually fix the issue without charge before our customers have a chance to let us know they made a mistake in the first place! While we don't rely on their CDN capability, our DNS is powered by CloudFlare which is the fastest and most powerful DNS service in the world and combined with their ability to use extremely low TTL's, we're able to migrate customers websites and applications between servers almost in real-time without any downtime. This has a multitude of benefits - if you're suddenly experiencing viral traffic, we can move your website onto a faster server or provision more servers to load balance traffic. This happens automatically and without downtime. Also, if our servers experience issues or we need to perform updates or maintenance, we opt to move customers to another server while we fix the issue. Again, all to prevent downtime. Our system will also automatically speed test every customers websites several times a day and again, if issues are detected, an engineer will investigate to see whether the problem is on our end or provide advice and discuss with you possible options and solutions. Once a month, every website is manually checked by staff for performance issues and any anomalies will be relayed to the customer as soon as possible. No other company cares this much. We're one of the few companies in the UK that are registered with the Information Commissioner's Office for data protection (registration number: ZA246885). Companies situation outside of the EU are not subject to the strict data protection laws set out for European entities but we treat all customers all over the world with the same standard as our EU customers. Our infrastructure is completely PCI DSS and HIPAA compliant which means customers can store payment or health information on our servers. Others charge for this or claim to be compliant without any kind of certification or third party audits. We have a full-time dedicated team of engineers whose sole task is to find vulnerabilities in our infrastructure, in WordPress, popular plugins, our customers websites and applications. When we find a vulnerability, we let the relevant entities know so they can release updates but since it can often take months before a patch is released by them (often leaving millions of websites vulnerable), we patch our servers and clients websites immediately to minimise risks. 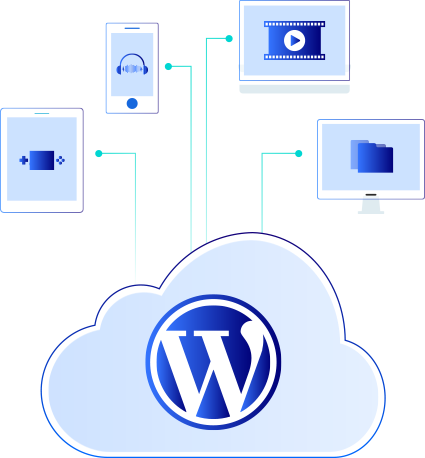 And since WordPress updates often break websites, our patches only target what's necessary and ensure websites remain operational after the patch so we can keep your website safe without the anxiety or reluctance of updating WordPress. We also have a proprietary security system which prevents most forms of brute force attempts. For example, if a customer uploads a plugin that contains malware — we have mechanisms in place that will make it very difficult for someone to use the malicious plugin to take control of a website and/or perform malicious activity because of our authentication system. Every host claims to be secure but none have the technical capability to do what we do, none go to the extremes that we do to protect our clients and none have a proven track record like we do. It's common now to hear companies experience breaches and data leaks and while it's impossible to be 100% secure, many have occurred through plain old negligence such as not encrypting data, allowing data access remotely for the sake of convenience and so on. They could have been prevented and while nobody can be perfect, everyone can follow common sense and to make matters worse, many of their breaches occurred in the exact same manner as other companies many years earlier yet took no action until it was too late. As well as constantly searching for vulnerabilities in our infrastructure, we also keep abreast of the news and if we find a company has experienced a breach, we immediately and thoroughly test our systems for the same and similar types of vulnerabilities — and take action where necessary. We don't need to experience a breach to learn their lessons. We would rather be safe than sorry. 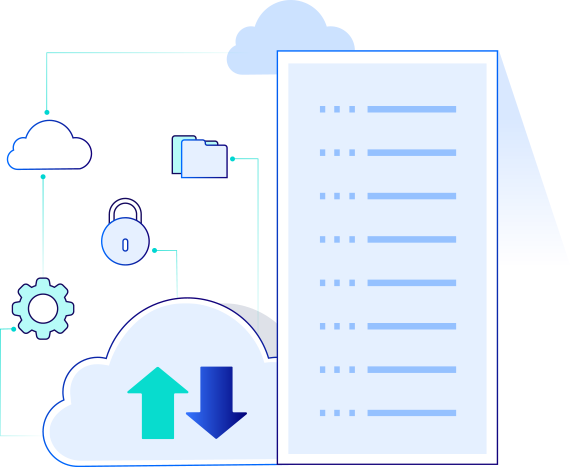 Most companies claim to make daily backups which in reality isn't the case or their backup strategy is unreliable and customers aren't aware of this until they need it. When their customers ask to restore from a backup, they often come across failed/unusable backups or backups that do not exist. 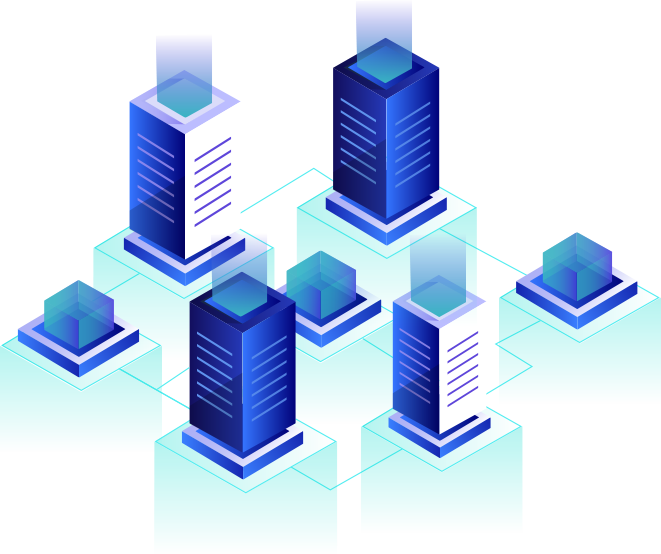 To mitigate this, we perform full backups of files and databases every 3 hours and store copies of them in so many different locations to ensure a recent copy is always available in the event of a catastrophe. Backups are stored on the physical server in RAID (multiple disks have the same copy), a copy is stored on our local storage array network (SAN) which is a cluster of servers and disks (again, multiple drives will hold a copy on the SAN) at the other side of the data centre and a final copy is sent to Amazon S3 with geo-redundant replication. To date, we have not lost a backup. No other host can do or offer this without charging thousands of pounds per month for the backups alone. We're the only company in the world to employ, at every level, qualified engineers that have the knowledge and experience to build complex applications so customers can rest easy knowing when they have an issue, the first person they speak to will have the technical knowledge to resolve it without needing to escalate it. We treat all customer issues like our own. We also provide a wealth of information beyond just answering questions — if we feel there is vital information you need to know to help guide your website or business, we will provide it. We don't believe any other company goes to the extent we do. There are no incentives for staff to upsell the most or log the most time and staff are encouraged to work as quickly as possible without compromising on quality. Hosting customers receive a significantly discounted hourly rate for all website development-related tasks. Sometimes customers just want minor changes and more often than not, we provide them for free. Our low pricing is in no way a representation of the quality of work received — all businesses, regardless of their monthly spend, receive the same level of diligence and meticulousness. Website development is just a small area of our business and we don't treat it as a revenue stream. Our primary focus is to improve our service for existing customers rather than gain more customers and therefore reinvest our profits as much as possible. We frequently upgrade hardware and perform software tweaks that can provide small or major improvements on performance and security. In typical circumstances at other hosts, a website would slow down as it grows but websites on our platform continue to hold the same performance or get faster. No other company can offer this. These are the guys you use when you're serious about squeezing everything you possibly can out of all of the technology behind your business. HTTPID not only helped me with the design, development and hosting of my website but they also helped me with my business on a wider scale... They have helped me identify the steps I needed to take in order to make my business successful, coached me on my mindset and have been there every step of the way. HTTPID are indispensable, offering great advice and economic solutions. They go the extra mile to explain technical information in a way I understand... I have no hesitation in recommending HTTPID to others who are looking for hosting, web development, SEO and Adsense advice, and technical support with websites. The attention to detail, the excellent one-to-one customer service, and the vast knowledge harboured by the HTTPID team is incomprehensible. One thing is for sure, if one wants to move forward in whichever net commercial venture you are in, to have your site with HTTPID will ensure safety, speed and assured help if you need it. My relationship with HTTPID began over a year ago where I required an entire site refresh - new hosting, domain servers, performance improvements, design elements - and HTTPID were able to help with incredible speed, accuracy and friendliness. I was pulling my hair out trying to keep our webstore running smoothly. Luckily I got onboard with HTTPID. Our site is now 5 times faster, and down time is no longer a problem. They have the best support and hosting I have ever experienced. Other conclusions such as providing the best support are based on customer and thid party feedback and should be treated as opinions. Satisfied? Click here to go back to where you were.